The CDC has called on the Department of Health & Human Services Armed Militia to help locate a CDC researcher who went off his rocker this week, claiming that a voice identifying itself as his “conscience” compelled him to spill sacred vaccine secrets of the Government-Pharmaceutical Alliance. Shortly before absconding from the CDC compound, the troubled researcher, identified as Dr. William W. Thompson, recorded a rambling “confession” in which he expressed “shame” for suppressing research findings showing that the measles-mumps-rubella vaccine (the “MMR”) dramatically increased the risk of autism when given to young black boys. Read much more at MMR Vaccine. Democracy is two wolves and a lamb voting on what to have for lunch. Liberty is a well-educated lamb contesting the vote. 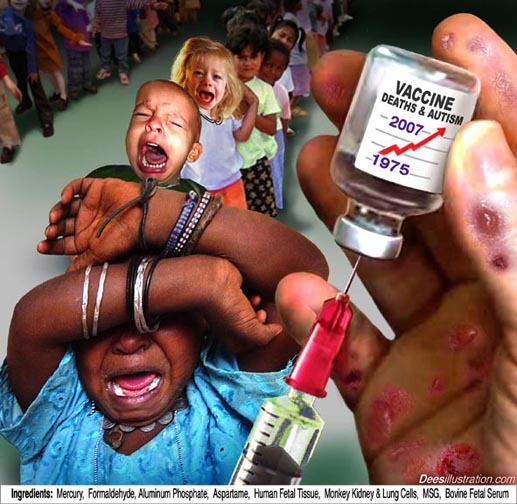 Vaccines Don’t Work. Here Are The Facts.